The Gretsch players’ home on the Web since 1995. You want plaid, laddie? Here's yer plaid! i had a rather spectacular pair of green/black/red tartan bellbottom trousers my gay elder brother gave me when i was like 12 c.1968. he assured me that they were the height of fashion on Bleecker Street, and i felt very au courant wearing them to Simmons Upper Grade Center. Deed, may i quote and identify you regarding the Guild 12-string conversion? 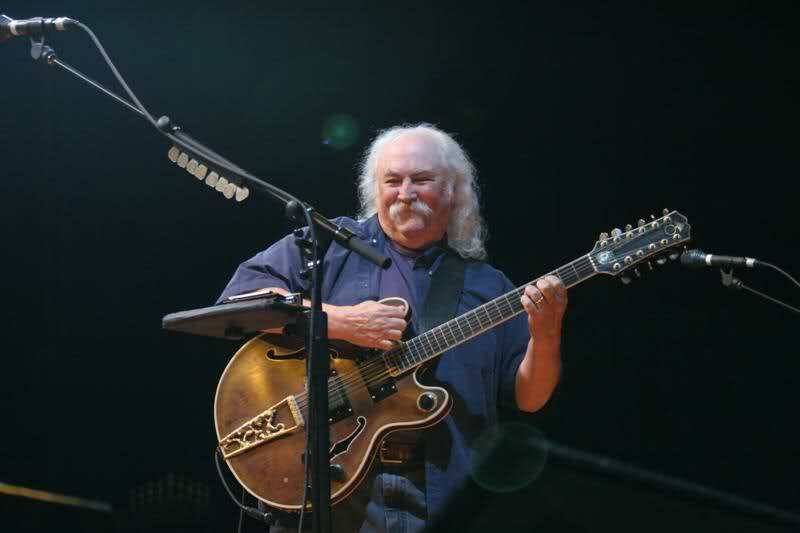 i follow Croz on Twitter and there was a recent thread speculating as to the identity of that guitar; as of now David himself is apparently unsure of its origin or fate, and it's been a topic of speculation among fans literally for decades. in the Twitter thread folks did identify it as a Guild body, but i've never heard anything more specific. given how awful things have been just lately i'm trying to do nice things for people and it would be neat to tell him about this. and given the depth of your knowledge of mid-20th-century American popular music, if i relay it from you it's entirely more authoritative. 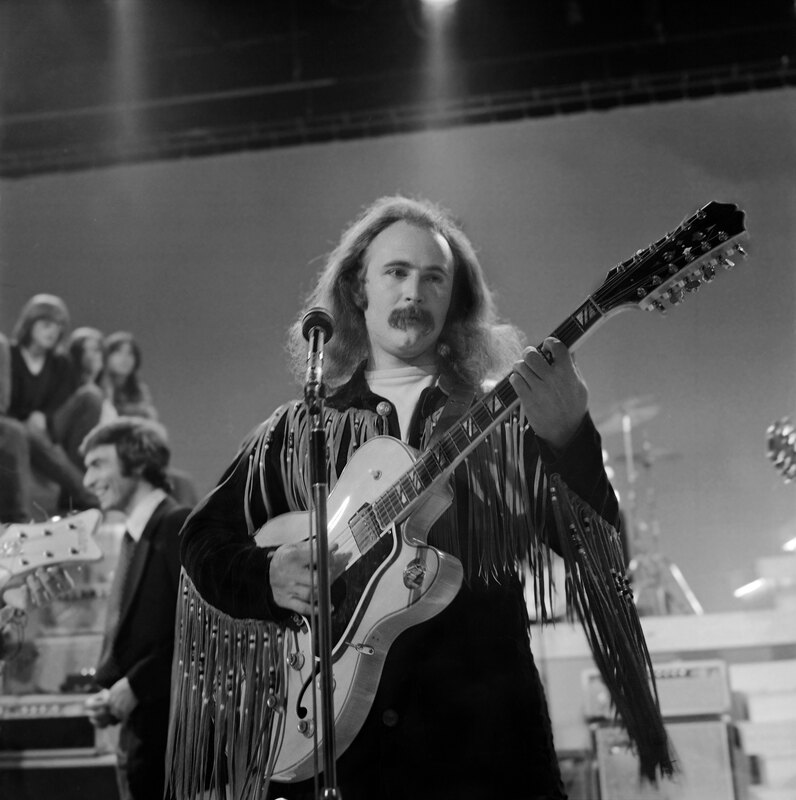 or if you're on Twitter you could ping him @thedavidcrosby. 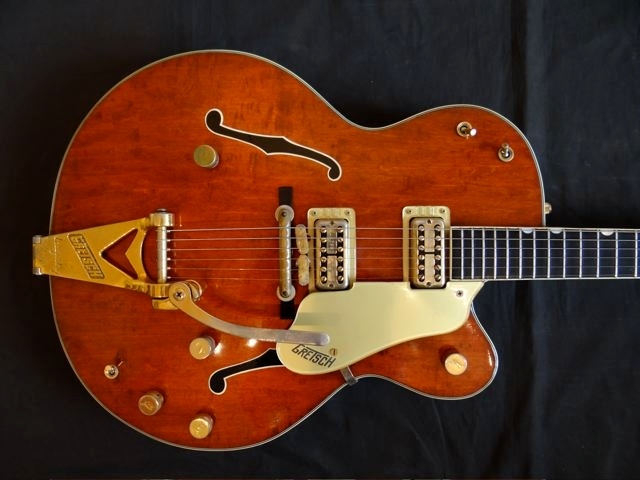 Mac, This is something I have researched and it was Stephen that had the Duane Eddy Model Guild converted to a 12. I am assuming that it was a DE-400 because he played a blonde 400 quite a bit in the early days of the Springfield. He let Crosby play it until Crosby had one made from a Gibson Crest guitar body. The Gibson had electronics by Alembic and I think it was a luthier with the name of Mario Martello or something like that. Not sure if he did the Guild as well but it is definitely a possibility. In that first picture I see a White Falcon peeking from the left. Neil added a "normal" Falcon to his Arsenal in the Springfield. Later, Stills got a stereo Falcon. They traded Falcons, and each made their musical history with their new Birds. There must have been something going on at Gretsch in '61 regarding the switch placement: here's another '61 6120 with the same placement as Neil's Springfield 6120 and a '61 White Falcon (with a '70's neck) also with that same close-to-the-edge placement. And here's a late '61 Gent with the same switch placement.